Did Roundup Cause Another Cancer Death? 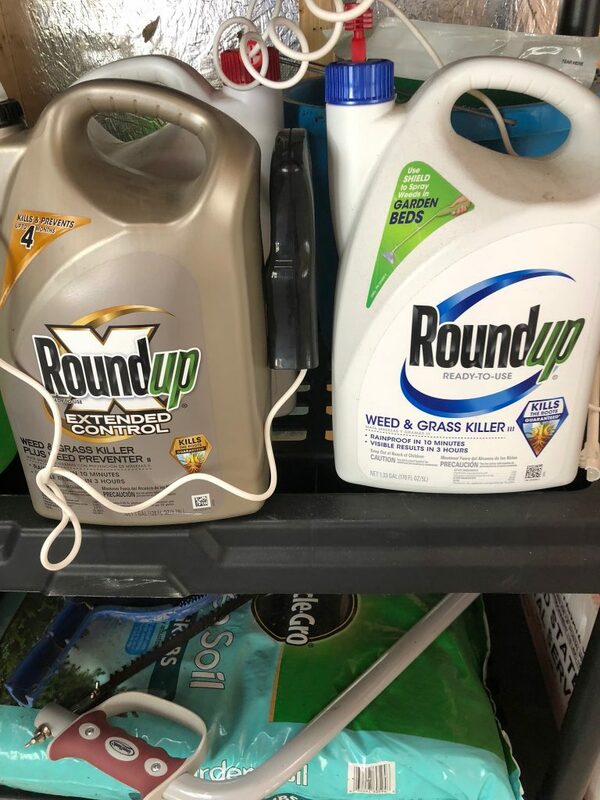 To date, there are an estimated 9,000 plus lawsuits filed against Bayer and Monsanto, makers of the popular weed killer Roundup. There are so many lawsuits filed that they are not even news anymore. That’s a shame because each cancer case represents a deadly disease that probably could be prevented and a family left in tatters. According to the Wilkes Barre (PA) Times Leader, the world’s most popular herbicide may be responsible for yet another death. The family of Albert Finarelli, Jr of Hunlock Creek, Pennsylvania filed suit against the Monsanto Company. Finarelli died in January 2015. He was 70 at the time of his passing. Albert’s wife said her late husband was a frequent user of Roundup around their home. The World Health Organization has linked glyphosate, the active ingredient in Roundup, to several cancers including non-Hodgkin’s lymphoma, myeloma and leukemia. All three are particularly virulent forms of cancer with a high mortality rate. California has also labeled the product as a possible carcinogen. Many of the people who have sued Monsanto are farmers, groundskeepers and other professionals who use herbicides on a daily basis. The lawsuit on behalf Albert Finarelli is somewhat unique in that he is a homeowner who used the product around his property instead of commercially. According to the complaint, Finarelli used approximately 70 gallons of Roundup between 1994 and his death in 2015. Why would the EPA be at odds with the World Health Organization and many countries around the world? We suspect it is politics and lobbying. Finarelli’s lawsuit is also unique in that his family says exposure to Roundup caused pancreatic cancer. We have yet to see any scientists or doctors make that connection meaning the family has a tough battle ahead. We share these stories to put a name and face to otherwise sterile statistics. These cases are more than just numbers, each case involves real people with dreams, kids or families. When you hear that thousands of lawsuits have been filed against Monsanto, remember that each lawsuit represents a person who is either suffering from cancer or who may have already passed away. Is Roundup responsible for every case of cancer? Of course not. The problem is that Monsanto refuses to warn users of its dangers and in fact, suggests there are no dangers. While we think that glyphosate should be heavily regulated or banned, even strong warning labels could save thousands of lives. And those labels don’t cost a dime. Tomorrow several farmers, landscapers or gardeners will walk out of their doctors’ office with a grim diagnosis of cancer and yet another lawsuit will be filed. Once again it will be up to a jury to decide how the cancer was caused and who, if anyone was at fault. We believe most of these cancer cases could have been avoided if only the company used better warning labels and informed users of the risks and how to safely use their products. For Albert Finarelli and his family, that advice and those warnings are too late. The lawyers at MahanyLaw are dedicated to stamping out corporate greed and fraud and protect consumers. We are currently seeking present and former Monsanto employees with information about the dangers of glyphosate. We also hope to speak with people employed by the company’s independent testing labs. In our opinion people deep inside Monsanto long knew about the dangers of the company’s products. Proving that means knowing where to look and the right questions to ask. Even if you wish to remain anonymous, any information you provide will be most appreciated. In our opinion, Monsanto lied for decades about the dangers of PCBs and are lying again today. This time the lies are about the safety of glyphosate. The public deserves better. The families of thousands of cancer victims deserve better. If you are a potential whistleblower, view our Monsanto whistleblower video and read our Roundup information page. While every lawsuit is different, a California recently awarded a 42 year old school groundskeeper $289 million. Although the judge slashed the verdict to $78 million, the cancer victim in that case accepted the lower award. Unfortunately, his lymphoma is believed to be terminal meaning he probably won’t get to spend a single dime of his award. Obviously, not every cancer victim will earn tens of millions of dollars but jurors are willing to look at the competing scientific claims and place responsibility where it ought to be placed. Want to learn more? Please visit our Monsanto cancer victim video and the information page above. All inquiries are protected by the attorney – client privilege and kept confidential. *Do you have a story to share? We will happily publish your family’s personal glyphosate exposure story and will change the names to protect your privacy. Of course, we will only tell your story if you ask. Why do we tell these stories? By humanizing the victims, we hope that more insiders come forward and more victims realize they are not alone.